Bringing up a child, lying to the boss, placing an order in a fast-food restaurant: in Etgar Keret’s new collection, daily life is complicated, dangerous, and full of yearning. In his most playful and most mature work yet, the living and the dead, silent children and talking animals, dreams and waking life coexist in an uneasy world. Overflowing with absurdity, humor, sadness, and compassion, the tales in Suddenly, a Knock on the Door establish Etgar Keret—declared a “genius” by The New York Times—as one of the most original writers of his generation. I'm so excited for this. 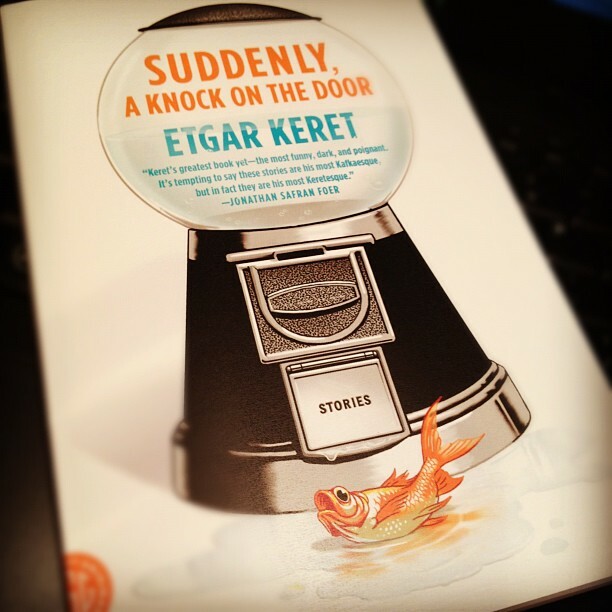 I'm a huge fan of Etgar Keret's (very) short stories. Keret's world is filled with strange, funny and sympathetic characters that find themselves in absurd situations. He's easily at the top of my list of favorite short story writers, along with George Saunders and Wells Tower. Expect a gushing review in a week or so! Read the original version of the title story here OR you can listen to Ira Glass read it.